1. Increase ink deposit. Ink deposit too thin. 2. Color not opaque. Reformulate as high opaque color. 3. Ink over-gelled. Reduce time and/or temperature. 4. Reduce time, temperature and pressure on heat press. Reduce application time on press. Too much application time and temperature. Body up the ink with Epic Thickener #2. Ink viscosity too low. Substrate is very thin. Try a heavier weight garment. 1. Ink over-gelled on paper. 2. Increase pressure on transfer press. 3. Increase heat and time on transfer press. Application time/temp too low. 4. Weave of substrate too tight for transfer to grip garment. 5. Adhesion problem with synthetic weave. 6. 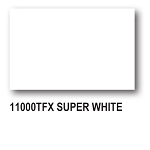 Use Transflex Adhesive 10210TFX Epic Printable Adhesive to improve adhesion. 7. Check paper type to ensure compatibility. 8. High moisture content in transfer release paper. 1. Transfer too large for transfer press. Uneven heat and pressure. 2. Image too close to edge. 3. Pressure is marginal. Increase pressure. 4. Ink too thick at edge. 5. Delay few seconds before peeling. 6. Check paper type for compatibility. 1. Inadequate ink flow. Reduce ink with Epic Viscosity Buster 10025PFX. 3. Image edges are saw-toothed. 4. Application time, temp., pressure low. 1. Ink deposit too thick. 2. Poor stencil quality. Ensure an even and precision screen edge. 3. Ink too thick when printing. Shear down viscosity with Epic Viscosity Buster. 1. Keyline deposit too thin. 2. Squeegee edge too sharp. 3. Squeegee durometer too high. 1. No space between colors. 3. Printing on soft surface. 4. Squeegee pressure too high. 5. Ink deposit too heavy. 1. Low pressure on transfer press. 2. Remove moisture from fabric. 3. Cool spot on platen. 4. No ink flow. Shear down viscosity with Epic Viscosity Buster. 1. Check with paper manufacturer for recommended shelf life and storage. 2. Paper absorbing plasticizer. Try different coated transfer paper. 3. Confirm that the transfer was not over or under gelled. 4. Transfers stored in extreme temps. 1. Paper not pre-shrunk. Try pre-shrinking @ 260°F/132°C. 3. Changed grain direction of paper. 4. Varying gel temperatures. Check air flow in dryer. 5. Humidity change in stock paper. Keep paper wrapped until ready to use. 1. Mesh too coarse. Remake screens with higher mesh count. 2. Stencil low quality. Good edge definition on stencil is necessary. 4. Ink too fluid. Body up ink viscosity with Wilflex Thickener.